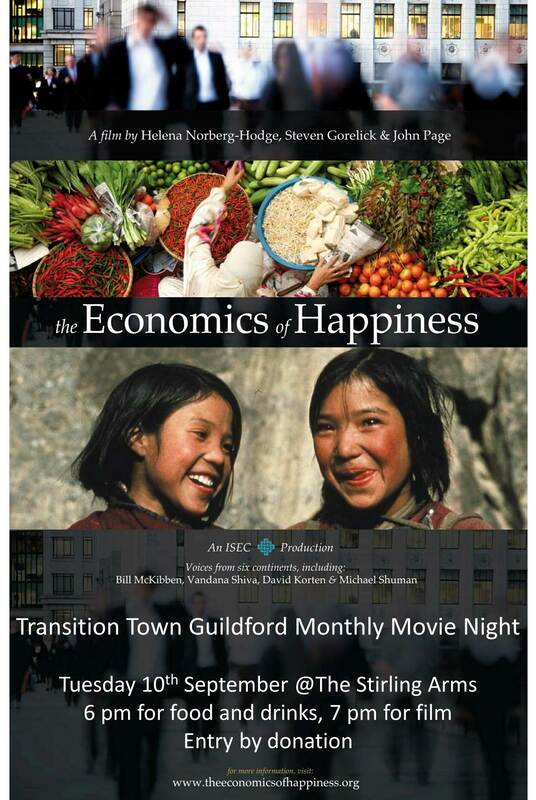 ‘The Economics of Happiness’ features a chorus of voices from six continents calling for systemic economic change. The documentary describes a world moving simultaneously in two opposing directions. On the one hand, government and big business continue to promote globalization and the consolidation of corporate power. At the same time, all around the world people are resisting those policies, demanding a re-regulation of trade and finance – and, far from the old institutions of power, they’re starting to forge a very different future. Communities are coming together to re-build more human scale, ecological economies based on a new paradigm – an economics of localization. This entry was posted in Economics, Event, Movies and tagged Stirling Arms Hotel. Bookmark the permalink.